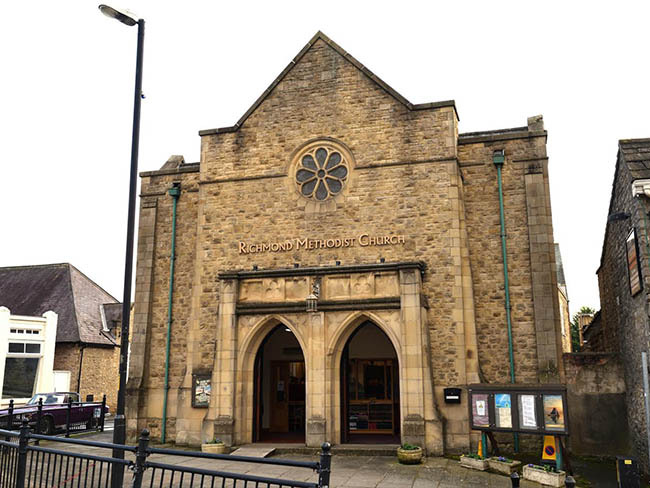 We are a friendly, inclusive Methodist Church in the centre of the beautiful town of Richmond, and are part of the North Yorkshire Dales Circuit. Our vision is for a God-led, spirit-filled church, serving and ministering to individuals, families and the community. Our mission is to grow the church, in both quality and quantity, so that all the people of the North Yorkshire Dales - and beyond - may encounter the love of God. Our aim is to walk with Jesus, witness to other, and to worship the Lord. We worship together every Sunday: there is an all-age service with Junior Church at 10.30am, and an evening service at 6.30pm. On the first Sunday of every month there is a service of Holy Communion at 8.00am, and a Healing Service at 6.30pm. We extend a warm welcome to all visitors, and invite everyone to join us for any services and events.